Detailed information and reviews of US companies and contractors offering contemporary & bespoke fireplaces and stoves for sale and repair, installation, and chimney cleaning services. Post your requirements and receive no obligation price estimates and quotes. 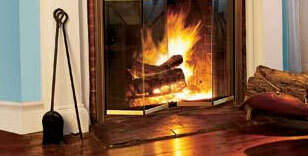 Fireplace Accessories - Update existing mantal, cover exsiting brick add electical outlets.